Equinox Gyrocopter Moving Head – Yowcha, Sound, Lighting, Disco & PA Equipment 19 Freeman Street, Grimsby, Lincolnshire, DN32 7AB. 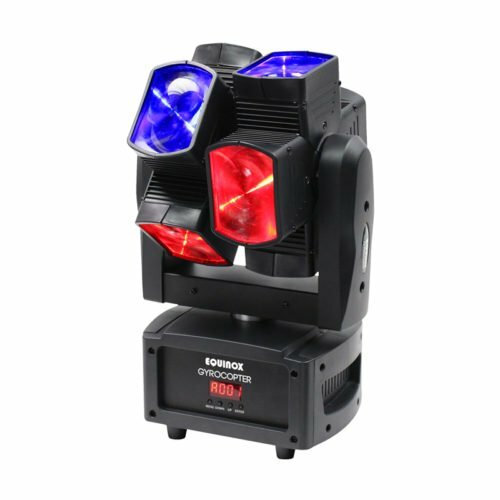 This dual axis twin moving head has continuous 360° rotation in both directions and utilises 8 x 8W LEDs to project pin sharp beams of light. Can be stood on its feet, or the unit comes with hanging bracket. 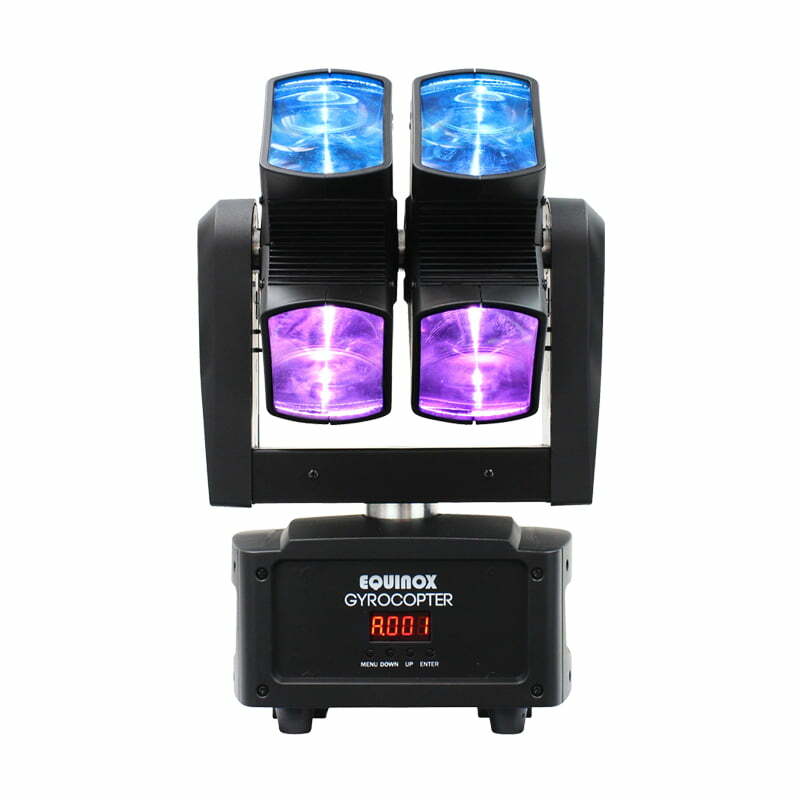 Moving head fixtures are often divided into spot, wash lights and beam lights. Spot units are generally used for their beam effect (usually through smoke or haze). 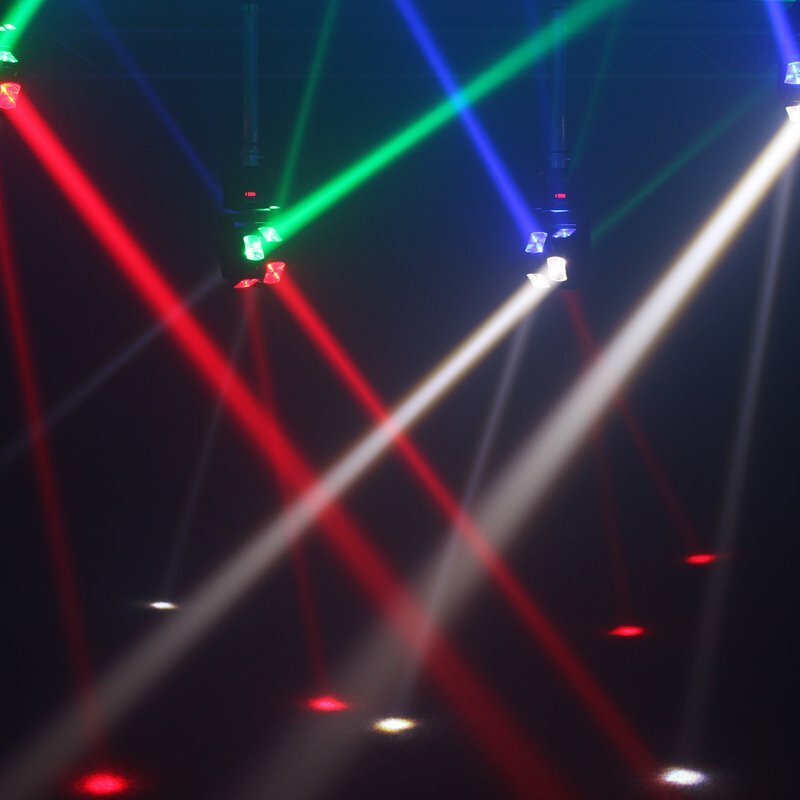 They also have the ability to project texture; whereas wash lights tend to be used for providing a stage wash.